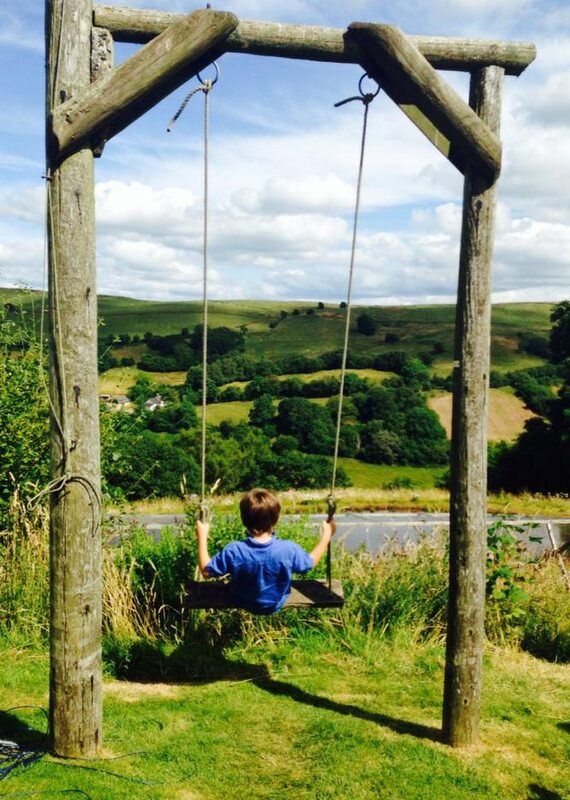 The farm, with spectacular views across the Epynt, is open year round. Visitors are welcome to walk in the lavender fields. Farm notes are available for self-guided tours. The pond is a favourite farm feature, especially with wild swimmers. Tea, cakes and coffee are served if you let FARMERS’ know about your plans to visit. The peak time for lavender is midsummer. Distillation begins in late July continuing into mid-August. Out of season, the distillery is also open so visitors see how lavender flowers produce essential oil. The shop stocks FARMERS’ body care and lavender products, all available for trying. 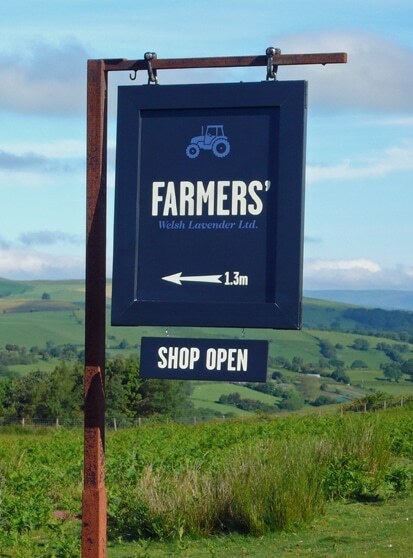 In the shop, you will also find FARMERS’ Provisions, a selection of beautifully made items: smart denim aprons, waxed cotton kit bags, lavender sachets, studio pottery, terracotta plant pots, knitted goods, seasonal jams, Welsh woven blankets, hand knitted socks, and FARMERS’ exquisite lavender chocolate bar. Group visits require booking and are tailored for you. They include refreshments, a short talk and tour of the lavender fields and distillery and a stroll around the gardens. Cycling groups, garden clubs, WI’s and farming organisations from across Wales and along the borders have chosen FARMERS’ for their special day out. Tours are based on a minimum of 10 per group. For details write to farmers@welshlavender.com with your request for a quote whether it be a tea party, lunch or an evening drink. The turn for our farm is 4.5 miles south of Builth Wells off the B4520. The farm is just over one mile along the lane. The road is curvy and hilly and feels longer so persevere until you find the farm. There is a sundial on the front of the stone farmhouse. The more adventurous may enjoy taking the back road from Builth Wells via Maesmynis. The farm is 3.3 miles from the T junction at Hospital Road.